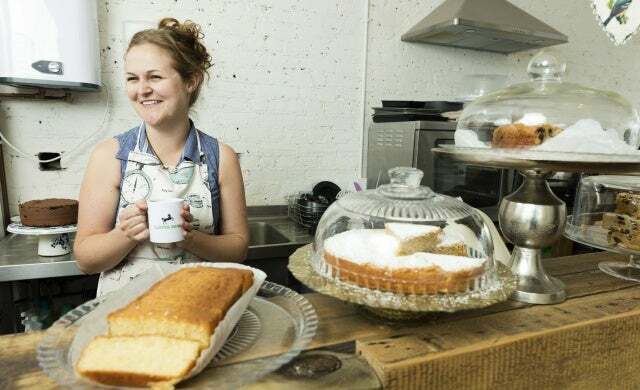 Company description: Baked is a cake café and community hub in Worthing, West Sussex. We pride ourselves on our relationship with the local community, the local suppliers we work with and our in-house employee development programme. And our cake. Our really awesome cake. In setting up a social enterprise you’re not only looking to launch a successful business that is financially sustainable, but you’re simultaneously setting up an organisation that creates real positive social change. I wanted to do business a little differently – to put society at the core of all our activities without any concession on quality. What were the practical steps you took to start your social enterprise? General business planning and market research to demonstate the need for the product (in Baked’s case; cake and coffee). Marketing, financial planning and putting together a business plan. Thinking about what being a social enterprise actually means. Legal – going about setting up a community interest company. Thinking about how to do that and why. Considering how to integrate the social mission into the inherent make-up of the business. Reading everything from blogs to how-to books, newspaper articles, and social enterprise websites. Becoming involved with organisations that support social entrepreneurs, locally and nationally. Specifically the Lloyds Bank Social Entrepreneurs programme (via the SSE) and UnLtd – two really great organisations that I found crucial for support. Now, after trading for 18 months, my mission to combine profit and purpose is, and looks to continue to be, a success. As a long-term model, this is very much only the beginning. Growing the business and becoming financially sustainable has been the priority in order to achieve our social mission as without the former, the latter cannot happen. The first few years of any business is hard; you have to build up a strong reputation and customer base, develop a strong product, and create a brand. With thorough planning and a strong network of support, Baked has been able to achieve this. On the purpose side of Baked’s activities, to-date we have provided innovative, empowering training and mentoring opportunities to young people in Worthing. We have provided young chefs with the opportunity to run their own pop-up restaurants; offered space for local start-ups; supported local community initiatives and events; and created a really valuable community space. Going forward, as the business-side of Baked grows, our social activities and efforts will grow too. What questions should other entrepreneurs ask themselves before starting a social enterprise? Why do I want to combine profit and purpose? What social need will my enterprise address (be specific)? Will/can my social enterprise be financially sustainable/turn a profit? What one piece of advice should other budding social entrepreneurs take on board? A social enterprise is a business; it needs to be treated like one. When starting up I was often challenged on how and why I was setting up a business using the social enterprise model (rather than a more traditional profit-oriented business model). Reflecting on this, I wish I had had more conviction and confidence at the time to say that yes a social enterprise can, and has in many cases, been a success. The real question is why wouldn’t you set up a business that combines profit and purpose? Lauren Roffey is a graduate of the Lloyds Bank Social Entrepreneurs programme. Applications for the 2016/2017 programme close on March 21 at 1pm, click here to apply.